Specialist Welding Services, Manufacture of Chrome Carbide Plate. Leading manufacturer of high quality insulated hooks, hangers, aerial cable supports & mining safety equipment. 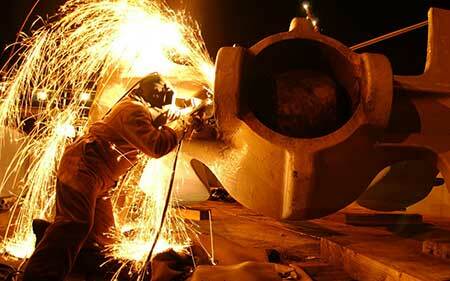 Suppliers of iron & steel components cast and/or fabricated for high wear applications. Suppliers of Belt Cleaning, Scorpio Products, Transfer Point Technology, & Air Cannon Systems. Netter Vibration is an international leader in vibration technology. Since 1953 we have been supplying vibrators to the construction industry, such as chemicals, machinery, food industry or construction industry. PumpEng® is an Australian owned and operated business. Our Raptor® pumps and parts are Australian designed and manufactured using the expertise gained through our long association with the mining industry. All over the world companies rely on Spanjaard Limited’s special lubricants and allied chemical products to help meet their unique requirements. Suppliers of Wear Resistant Parts, Kiln Chain, Rubber Components, Heat Resistant Parts & Grinding Media.